February 17, 2016 — SAN FRANCISCO — Commercial crab fisheries will now remain closed until state officials lift the health advisory along the entire California coastline. That decision was made on Wednesday. 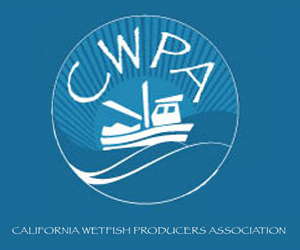 CDFW officials may open crab fisheries south of the border between Mendocino and Sonoma counties once the state Department of Public Health clears all of the crabs along that stretch of the coast for human consumption. The commercial crab season has taken a huge financial hit, stalled since public health officials determined the crabs had high levels of domoic acid which is a neurotoxin. The determination followed the strong recommendation by members of the Dungeness Crab Task Force, who urged state officials on Tuesday to keep the season closed until the health advisory was lifted coast-wide, or at a minimum, for an area south of Point Arena. The commercial crab season has been stalled since public health officials determined the crabs had high levels of domoic acid, a neurotoxin. But on Thursday, the CDFW said it would allow recreational crab fishing south of Point Reyes after health officials cleared the crabs for human consumption. WASHINGTON, D.C.—Today, Congressmembers Jared Huffman (CA-02), Jackie Speier (CA-14), Sam Farr (CA-20), Lois Capps (CA-24) and Mike Thompson (CA-05) sent a letter to Secretary of Commerce Penny Pritzker urging her to expeditiously review and grant Governor Jerry Brown’s request to declare a fishery resource disaster in the California Dungeness crab and rock crab fisheries. An unprecedented toxic bloom of marine algae called Pseudo-nitzchia australis containing the neurotoxin domoic acid has caused the closure of the commercial season that was scheduled to open in November 2015. Even though the California Department of Public Health lifted the advisory in areas south of Point Reyes yesterday and the Department of Fish and Wildlife is considering opening the commercial season next week, the closure of the fisheries has already resulted in economic losses for stakeholders. According to the Governor’s estimates, the direct economic impact for the commercial closure is at least $48.3 million for Dungeness crab and $376,000 for rock crab. Earlier this week, Governor Jerry Brown wrote to you to request that you declare a fishery resource disaster in the California Dungeness crab and rock crab fisheries under section 308(d) of the Interjurisdictional Fisheries Act of 1986, and a commercial fishery failure under section 312(a) of the Magnuson Stevens Fishery Conservation and Management Act of 1976. This declaration will allow our communities to receive desperately-needed aid. We write in support of the Governor’s request for a disaster declaration, and ask that you work with the state to quickly complete the review process. The closures of the commercial Dungeness crab fishery and the partial closure of the rock crab fishery are causing severe economic hardship in California’s fishing communities. These fisheries are crucial to the coastal economy of central and northern California – last year, revenue from the sales of Dungeness crabs alone was estimated at just below $60 million. The cause of the closure, an unprecedented toxic bloom of the marine diatom Pseudo-nitzchia australis, has led to elevated levels of the neurotoxin domoic acid, which persist in the crabs’ bodies and in the environment and can be transmitted to humans via the food supply. While we remain hopeful that the toxin levels will continue to fall, our fishermen and coastal communities have already missed out on the most lucrative sales of the year. Many of these fishermen may not be able to catch enough crab this year to make ends meet, and the coastal communities that rely on this important source of revenue are already suffering. Although the recent lifting of the health advisory for Dungeness crab south of Point Reyes is encouraging, the closure of the fishery has already resulted in lasting negative social and economic effects to fishery stakeholders and coastal communities along the coast of California. The Governor of California estimates that the direct economic impact from the commercial closures to date is at least $48.3 million for Dungeness crab and $376,000 for rock crab, as well as untold losses to other sectors of the fishing industry such as processors and distributors. Given the severe hardship our constituents are currently experiencing, we urge you to review the Governor’s request as expeditiously as possible. Thank you for your consideration. 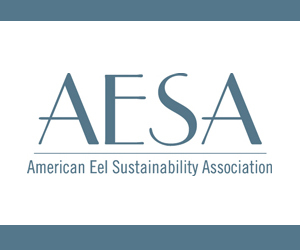 February 16, 2016 — A program used in many U.S. fisheries to protect the marine environment and maintain healthy fish populations may have an immensely important added benefit: preserving the lives of American fishermen. That’s according to a new study published Monday in the Proceedings of the National Academy of Sciences. Researchers found that catch share programs (where fishermen are allotted a set quota of the catch) reduce some of the notoriously risky behavior fishermen are known for, such as fishing in stormy weather, delaying vessel maintenance, or heading out to sea in a boat laden with too much heavy fishing gear. Traditional fishery-management programs open and close fishing seasons on specific days. By contrast, catch shares work on a quota system, under which fishermen have a longer window to harvest their predetermined share. That gives fishermen the luxury (and perhaps the life-saving option) of time. The findings don’t surprise Scott Campbell Sr., who spent most of his 35-year career fishing the Bering Sea for king crab the way it used to be done: derby-style. Crab season would open, and regardless of weather, Campbell and his crew would be on the water, hoping to nab enough crab during the season’s brief window to keep his business afloat. That kind of risk-taking has historically made fishing one of the nation’s most dangerous professions, with a fatality rate more than 30 times the U.S. average, according to the new report. Today there are approximately two dozen state and federal catch share programs in the U.S. Most launched in the last decade. However, derby-style fishing still exists in many U.S. regions, including the Pacific and Atlantic swordfish fisheries, the Northeast’s monkfish and herring fisheries, and the West Coast dungeness crab fishery. Plenty of studies have looked at the environmental benefits of catch share programs — such as the reduction of bycatch, the ability to maximize the value of the catch, and direct impacts on the way fisheries are managed. But what makes this paper innovative is that it’s looking at actual risk-taking data, says the study’s author, Lisa Pfeiffer, an economist at the Northwest Fisheries Science Center. Pfeiffer examined the impact a catch share management program had on fishing safety by looking at the particularly data-rich West Coast sablefish fishery. 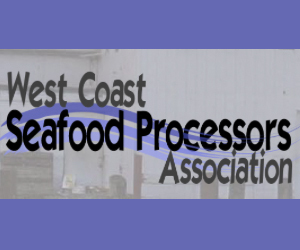 February 15, 2016 — The National Marine Fisheries Service is proposing a new program meant to improve record keeping about seafood imported to the United States. In early February, the agency announced a new traceability plan that’s meant to help combat illegal fishing and seafood fraud. 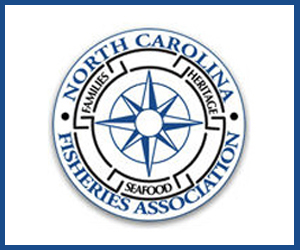 NMFS Director of Office of International Affairs and Seafood Inspections John Henderschedt said the federal government wants a better record of who is catching seafood and where it’s landed before it shows up in U.S. stores. The proposed program would apply to about 13 types of fish, including Pacific cod, red king crab, shrimp, sea cucumber and others. Importers would be required to track where it was caught, who caught it, the type of gear that was used and where it was landed. 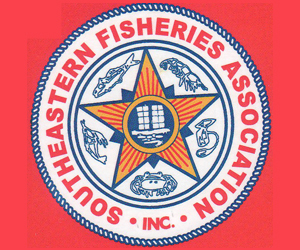 Henderschedt said that NMFS already has that information for domestic seafood, so fishermen and processors here won’t be asked to do anything differently. But it would add information that isn’t tracked right now for international imports. “We do not have laws that allow us to gather the data to ensure that we can carefully examine the legality of catch and the chain of custody of that product as it makes its way to the U.S.,” he said. February 15, 2016 — The Obama administration has proposed new rules that would require seafood importers to better record the who, what, when, where and how of the fish they bring into the country. “Traceability is a key tool for combating illicit activities that threaten valuable natural resources, increase global food security risk and disadvantage law-abiding fishermen and seafood producers,” said Kathryn D. Sullivan, administrator for the National Oceanic and Atmospheric Administration. The proposed rules would apply only to seafood at “high risk” for poaching and fraud, such as blue crab, red snapper and shrimp, but officials want eventually to expand them to all imported seafood. The rules would mandate catch data along a chain of custody, from the point of harvest to entry into the United States. The idea is to eliminate the import of seafood poached from ocean reserves, and the substitution of different species for more expensive fish. President Barack Obama directed his administration in June 2014 to develop solutions to fight illegal fishing and seafood fraud — challenges that exacerbate the problem of dwindling fish populations. A federal task force issued draft rules that December. The final proposed rules fall short of “bait to plate” — tracing seafood all the way to the point of sale to the U.S. consumer — the approach favored by many local officials, conservationists and members of the industry to cut down on domestic repackaging fraud. February 12, 2016 — The following is an excerpt from a story by Juliet Eilperin, Washington Post White House bureau chief, who addresses new national monuments to be declared this week, and mentions possibilities for additional designations before the end of the Obama Administration including New England corals, canyons, and seamounts, and an expansion of Papahanaumokuakea in the Pacific. “We have big, big ambitions this year, so let’s see what happens,” said Christy Goldfuss, managing director of the White House Council on Environmental Quality, adding that the administration is focused on “local requests for action. It’s really been driven by activities on the ground. The big question: What next? Other possible future designations include Bears Ears, a sacred site for several Native American tribes in southeastern Utah; Stonewall, the site of a 1969 inn riot by members of New York City’s gay community; the New England Coral Canyons and Seamounts; the historic headquarters of the National Woman’s Party, Sewall-Belmont House in Washington, D.C.; and Nevada’s Gold Butte, an area where rancher Cliven Bundy and his supporters have defied federal authorities. It is less clear what Obama will do in federal waters, where nearly all of the strict protections are in the central Pacific. There are a group of Hawaiians lobbying the president to expand Papahanaumokuakea – a monument George W. Bush created a decade ago, whose islands and atolls are home to 1,750 marine species found nowhere else on Earth – to the full extent under the law. That would make it 520,000 square miles, or nine times its current size. February 10, 2016 — Gov. Jerry Brown Tuesday informed U.S. Secretary of Commerce Penny Pritzker via a letter that the state of California was requesting federal declarations of a fishery disaster and commercial fishery failure in response to the continued presence of unsafe levels of domoic acid in Dungeness and rock crab across the state. 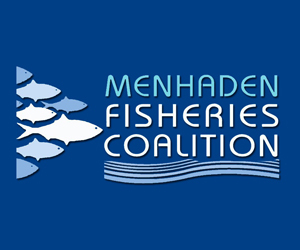 The governor’s request Tuesday initiates an evaluation of a federal fishery resource disaster under the Interjurisdictional Fisheries Act of 1986 and a commercial fishery failure under the Magnuson-Stevens Fishery Conservation and Management Act of 1976. By declaring a federal disaster, affected fisheries would be able to receive economic assistance for losses incurred. Typically a $90 million industry for the state annually, Brown estimated in his letter that the continued closures would cost $48 million in losses for Dungeness crab, and $376,000 for rock crab, based on estimated values of both species during the time period of November 2015 through June 2016. Because the crabbing season is likely to remain delayed or closed for the remainder of the 2015-16 season, Brown predicts these estimates to only increase. Mendocino County fisheries have also reported at least $4 million in losses, according to Tami Bartolomei, county Office of Emergency Services coordinator, who updated the Board of Supervisors during its Feb. 2 meeting. 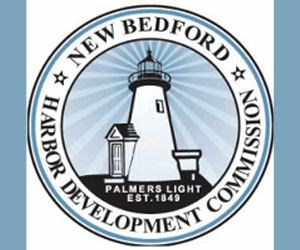 Bartolomei said she expected to keep receiving additional disaster economic worksheet claims from local fisheries that go to the U.S. Small Business Administration. County supervisors that day authorized Bartolomei to send a letter to the state’s Office of Emergency Services requesting that Mendocino County be included on a list of other affected California counties for declaration considered by the U.S. Small Business Administration. The U.S. Small Business Administration has since announced it was offering federal disaster loans to state small businesses that have suffered financial losses as a result of the crab ban. Mendocino County is among the dozens of counties on the SBA’s list of eligible areas. North Coast Sen. Mike McGuire, also chairman of the state Joint Committee on Fisheries and Aquaculture, will host another meeting Thursday as part of the 43rd annual Zeke Grader Fisheries Forum in Sacramento. The meeting was scheduled prior to Brown’s letter, and will also cover the governor’s request for crab disaster declaration. February 9, 2016 — In a letter to U.S. Secretary of Commerce Penny Pritzker, Gov. Edmund G. Brown Jr. today requested federal declarations of a fishery disaster and a commercial fishery failure in response to the continued presence of unsafe levels of domoic acid, a potent neurotoxin, in Dungeness and rock crab fisheries across California and the corresponding closures of those fisheries. In early November 2015, the Office of Environmental Health Hazard Assessment (OEHHA), in consultation with the California Department of Public Health (CDPH), recommended a closure based on unsafe levels of domoic acid found in crab tissue that was likely to pose a human health risk. Domoic acid is a potent neurotoxin that can accumulate in shellfish and other invertebrates. At high levels, it can cause persistent short-term memory loss, seizures and death. At low levels, domoic acid can cause nausea, diarrhea and dizziness. February 9, 2016 — Skipjack tuna prices for delivery in February to the Asian tuna hub of Bangkok, Thailand are firming up on the previous month, sources told Undercurrent News. With the US vessel tie-up continuing, prices for January deliveries firmed somewhat, a trend that is looking set to continue. A deal has been done at $1,175 per metric ton between a trader and a canner, sources in the US and Asia told Undercurrent. The large tuna traders, a US-based executive said, are holding out for $1,200/t for the rest of the deals. 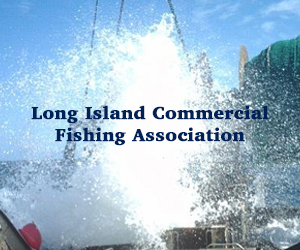 February 2, 2016— America’s commercial fishermen provide the public with some of the world’s best seafood: Alaska salmon and halibut, Maine lobster, Gulf red snapper, New England cod – names that make your mouth water. These are the fishermen who support our coastal economies and contribute to our food security, and continue to do so in the face of a growing number of challenges. Increasingly, commercial fishermen face vast uncertainty about changing ocean ecosystems, complex state and federal management systems, and the staggering costs to enter America’s fisheries. These factors have contributed to a new challenge: declining numbers of young fishermen entering the commercial fishing industry. As a coastal community loses its next generation of fishermen, it also loses access to economic opportunity, food security, and its heritage. As we work together to ensure the health of America’s incredible marine ecosystems, we must also find ways to sustain the next generation of fishermen tasked with putting that food on our nation’s table. Rather than see fishermen’s role in our food system further isolated and diminished, we should equip young fishermen to be successful food producers, responsible marine stewards and valuable additions to their local economies. Farmers and ranchers had concerns for their own future generations, inspiring Congress to create a number of programs to support this next generation of agriculture, including the Beginning Farmers and Ranchers Development Programand the Individual Development Accounts. Young farmers and ranchers have benefitted enormously from this federal support, ensuring a future generation is in place for this part of the U.S. food system. Unfortunately, not a single federal program exists to provide support and resources to young commercial fishermen – the young men and women critical to the preservation of the culture, economy, community health, and food security in coastal America. This lack of support puts this important part of our food system in jeopardy, especially at a time when more consumers are looking for healthy protein sources that are locally sourced and sustainable. It reflects a massive oversight and a lost opportunity.